Apple's AirPods are a nice idea, but repairing these things is hopeless, according to iFixit. Sometimes it's just not worth it to peek behind the curtain and find out how the magic happens. 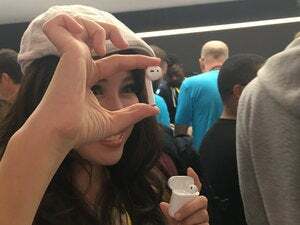 That's the feeling you get from iFixit after the teardown champs took on their latest challenge: Apple's AirPods. These tiny wearables pack a lot of power into a small space. They've got Bluetooth, beamforming microphones, optical sensors, a motion accelerometer, a 93 milliwatt battery (we'll get to that), and speakers. It's no surprise there's little room among all those components for grace and an easy entry point. In fact, the AirPods appear to be equal parts technology and glue. Or as iFixit puts it: "If jamming complex components into a small form factor and sealing it with a copious amount of glue were a game, Apple would be winning." The impact on you at home: The reality is that if you break either of these little dangly headphones, you won't be repairing them. IFixit gave the headphones a repairability score of 0 out of 10. That's not really a huge surprise though, is it? How many types of wired earbuds are repairable save for perhaps snapping them back together if they come undone? Not many. The AirPods are expensive earbuds, but they're still earbuds. That means if you break an AirPod you'll be shelling out at least $69 to replace it. To sum up: AirPods may not fall out of your ears in most situations, but you'll still want to be careful not to lose or damage them. 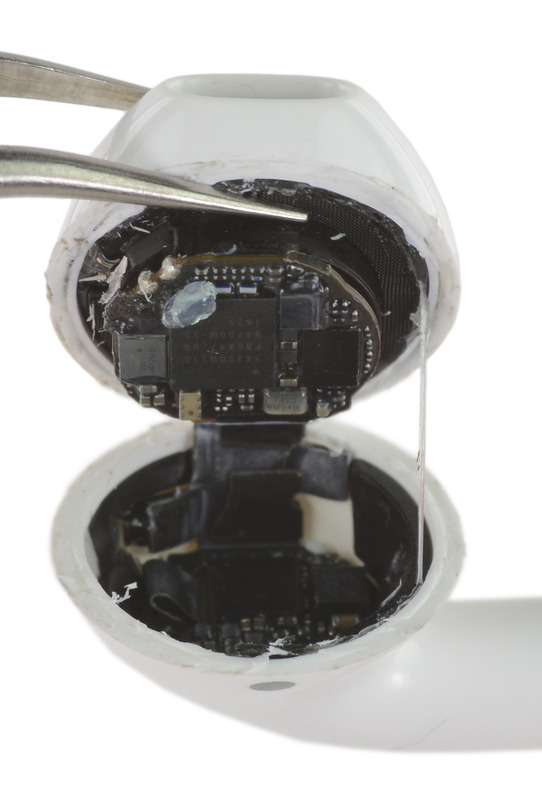 Despite waging war with adhesive, iFixit did find some interesting technical points inside the AirPods. For starters, the battery is tiny. It's not Apple Pencil tiny, but it's still a pretty small power pack. That's not such a big deal, however, as those 93mW still give you five hours or more of music playback. 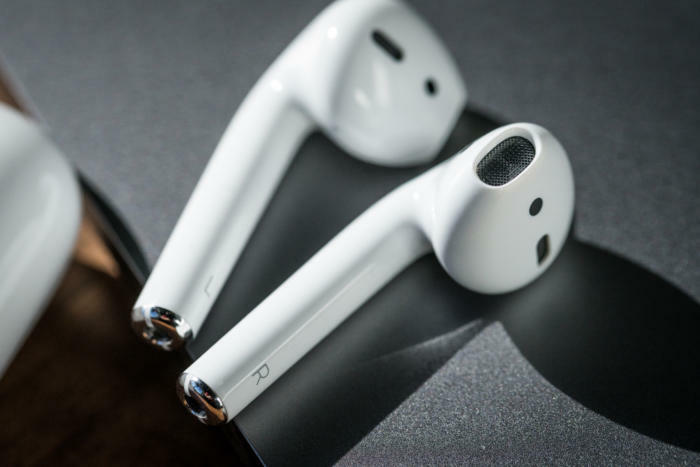 The iFixit teardown also found a technical reason as to why the AirPods look more or less like regular Apple earbuds with the wires cut off. That boom-like extension is there not only to provide balance, but as a home for an antenna in order to deliver better reception.